Where to start when Buying a Home? If you are considering buying a home, there are many things to think about and know before you start. Here are some best practices when buying a home. 1. Location. You’ll first want to know where you want to live. Things to consider are commute to work, schools if you have children, crime and safety. If you don’t know the area well, you can contact the local police department to learn about the crime and safety. To learn about the schools, you can contact the school board. There are websites that will offer a ton of information regarding neighborhood information (like this site here), so be sure and do a search for those as well. 2. Know your credit score. If needed, use one of the free online tools to find out your credit score. Or you can contact a financing company or mortgage company to run it for you as theirs will be more accurate. 3. Get pre-approved. Once you know your credit score you’ll want to get pre-approved for the home or property to know your “buying power”, which is knowing the maximum price you can afford. Be sure to work the numbers with your financial institution to get an idea of what your monthly payments will be at various price, so you know what you are most comfortable with for a monthly payment. A pre-approval is your “golden ticket” when making an offer on a home, so you will need this before you start looking at homes. *NOTE: There are low-down payment programs available if you know where to look and have the right agent and lender to guide you. 4. Gather your down payment money. Another thing to discuss with the financial institution is how much money you will need to purchase a home. There are some programs for first-time buyers, veterans and other types of people where you can get assistance to purchase a home. You’ll want to ask your lender if they have any, as well as ask if you qualify for them. Don’t worry if you don’t have all the funds together as a good Realtor can help you get assistance from a seller. Be sure and advise your real estate agent that you will need financial help from the seller, so they know before making an offer on a home for you. 5. Hire a great Real Estate Agent. Buying a home on your own is NOT recommended as there are a lot of steps throughout the process that you won’t know about, so be sure and work with an agent who knows the area or neighborhood you’re looking to move in to as well as know the process of working with a buyer. Having a great agent on your side to protect is a huge asset….one you don’t want to be without when buying a home. Most buyers are unaware of what an agent can do for you. To learn more about what a Realtor can do for you and how to properly hire one, check out this article by clicking here. *NOTE: Don’t forget, if you have the right agent guiding you they can assist you in finding low-down payment loan options as well as be creative in getting money back in other ways. Click here to contact us to help you get started on your home buying process. 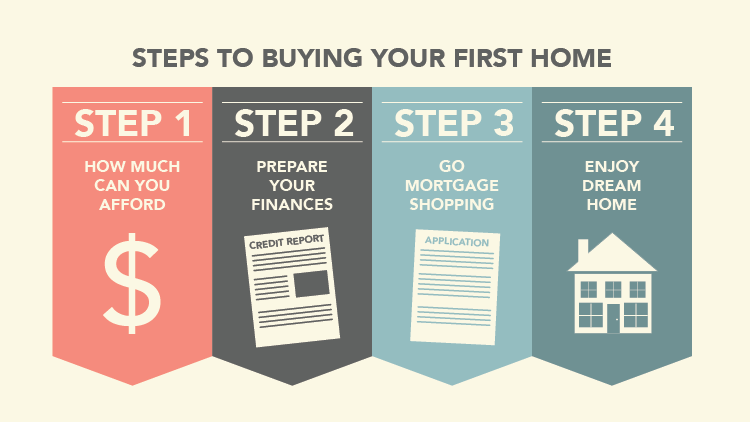 After you’ve done all the above steps, you can then finally go looking for that “perfect” home. This is where your agent will take over and do the work necessary to get you to closing and give you the keys to move into your dream home. To watch a quick intro video about this article, click here. Welcome to The Von Ohlen Team's interactive Port Saint Lucie Real Estate website. We offer our clients a new, powerful way to search Port Saint Lucie homes for sale, get up-to-date community information, and re-search current market trends for the area. www.TreasureCoastHomeSeeker.com is a direct connection for you to browse the local MLS. We have integrated software that allows you to search like a Realtor, access every Port Saint Lucie, Stuart, Palm City, Jensen Beach and Hutchinson Island Real Estate listing with ease. Being part of Keller Williams Realty of the Treasure Coast opens up thousands of possibilities for our clients, with the largest most powerful broker backing us every step of the way. We are premier Port Saint Lucie Realtors with a proven track record serving our buyers and sellers. You can also check us out on Zillow where we have earned a 5 star rating from our valued clients, and friends over the years. We have been ranked in 2015 the #2 Team for Units Sold and #4 Team for Volume, the Von Ohlen Team can and WILL help you sell, buy or rent your home or property. Are you looking to get top dollar for your Port Saint Lucie property? We are here to help. Get a FREE CMA, comps, and market analysis today. Coupled with our powerful online marketing strategy we will bring you the right buyers, domestic or from abroad to get you what you deserve from your Real Estate sale.